The ultra in complete protection for the iPhone 6 Plus, the Tethys is engineered to fully enhance your iPhone experience so you can seize the day, anyday. Complete with 360° of added protection for durability, touch-through screen for easy usage, and an ultra-slim frame for portability, the Tethys is designed to be more than just a case. Weather PROOFS – The Tethys case is made to go just about anywhere. With the ability to keep your iPhone safe and protect your phone from water, dirt, sand and snow. While most cases are tested to a depth of 6 ft, we went a little further and equipped our case to be able to descend a depth of 8 ft! That is 25% deeper! Ultimate Protection – With an ultra-snug frame and added corner protection, the Tethys does more to keep the iPhone plenty safe while still keep its minimal form factor. An iPhone in the Tethys case is only 0.6 of an inch thick. Perfect Clarity and Interaction – Our specialized ultra-clear screen protector provides the maximum display resolution while no interference with the touchscreen responsiveness. It also protect your touchscreen from scratches. Easy Access – Fully compatible with the iPhone 6 Plus TouchID function, and complete access to speaker, headphone jack, buttons, sensors and cameras. Lifetime Warranty – All Tethys case products come with LIFETIME warranty which safeguard against defects. We take pride in our workmanship and want you to know that we make every effort to make the perfect case for you and your favorite mobile device. A: Tethys offers a lifetime warranty on all of its products. Tethys products are warranted to be free of manufacturing defects and also will cover cracking, peeling, and degradation of the case over the lifetime of the product. This warranty does not include mishandling and/or device damage. Warranty is voided if the waterproof pre-test is not completed prior to first use. If you believe you have received a defective product, please fill out our customer support form. 2. Where can I get an additional manual? A: You can download a copy of the manual here. 3. Where can I learn more about the waterproof pre-test? A: Go to our Waterproof Pre-test page to learn more. 4. 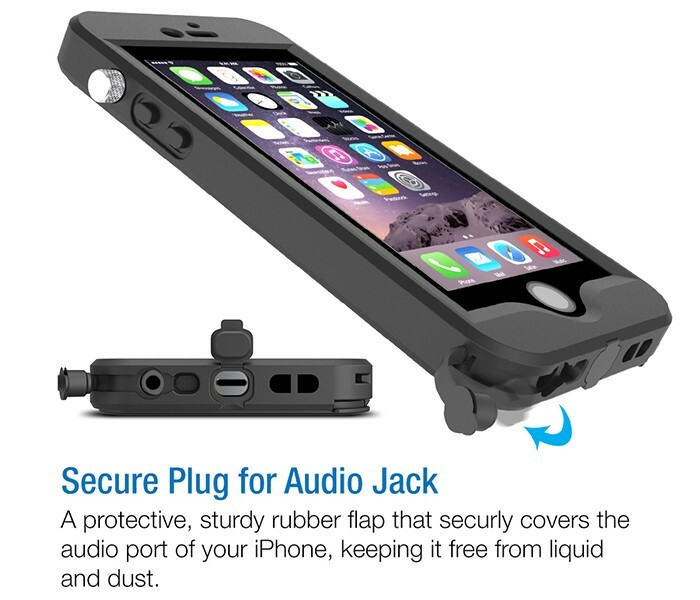 Does this case work for the iPhone 6 4.7″? A: The Tethys case is designed to work with the iPhone 6; however, the fingerprint TouchID and the flashlight function will be accessible with the case equipped. 5. How do I assemble/disassemble the case? 6. To what depth can I take my Tethys case? A: The Tethys case has been successfully tested to reach a maximum depth of 8’ feet. 7. How do I maintenance my case? A: Make sure to perform the waterproof pre-test after any event which may have damaged the case. Make sure to keep the case dry. Also make sure to wash the case thoroughly after coming in contact with salt water. For a complete list of DO’s and DON’TS please visit the maintenance page. 8. Does the Tethys case support charging and syncing with the case still on? A: The Tethys case has a flap which can be opened to allow charging and syncing with the case still on. 9. 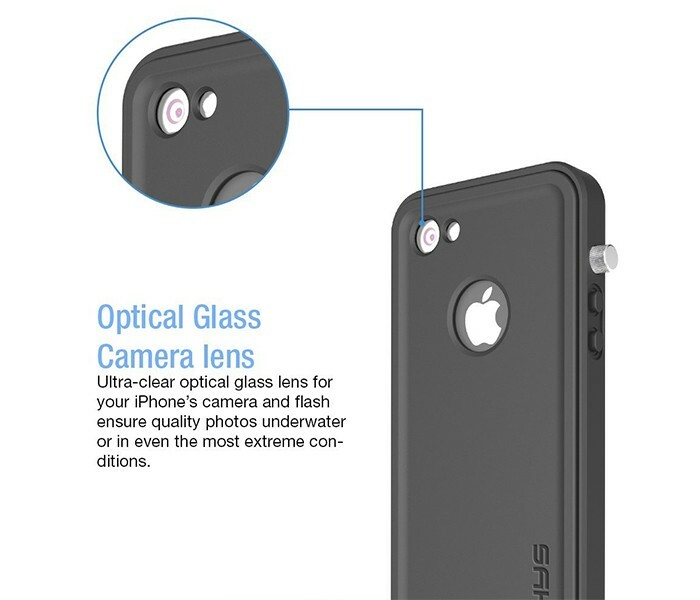 Does the Tethys case affect the iPhone’s camera, phone signal or speakers? 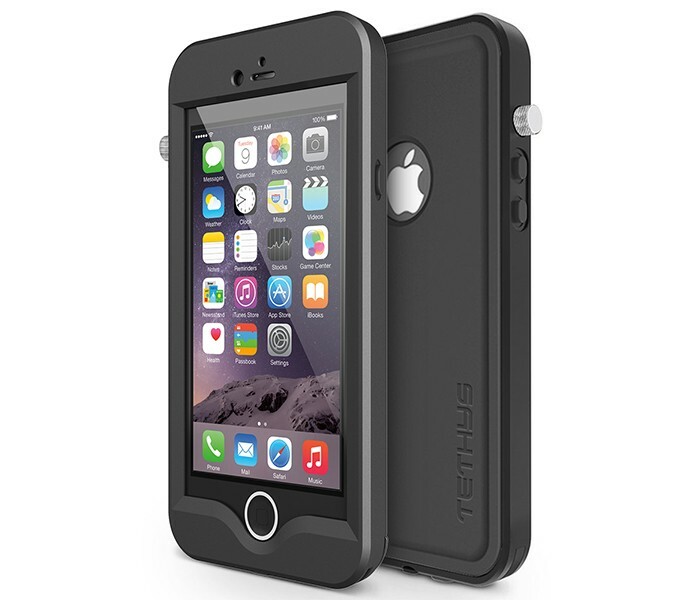 A: The Tethys cases is designed to work with all the original features of the iPhone 6 4.7 inches ONLY. 10. I need more help with my case! A: If you do not see the answer you are looking for here. We also have a general FAQ section which might help answer your question, or you can go to our support page to ask a specific question.